If we weren’t the first industrial civilization on Earth, would we ever know? ... But the idea of advanced prehistoric life is an intriguing one and raises a variety of interesting questions. Not least of these is this: if an industrial civilization had existed in the past, what traces would it have left? I don't know the answer to this question, but I do know that prehistoric "stone age" civilizations from about 20,000 yrs ago to 500 yrs ago left a plethora of stone artifacts, arrowheads, stone axes, grinding stones, stone art, etc that generally withstand rust, rain, wind, rot, root action, mice and rat nibbling, termites, salt water, lightening, sickness and time......thousands of times better than most items made in the year of our Lord 2018. 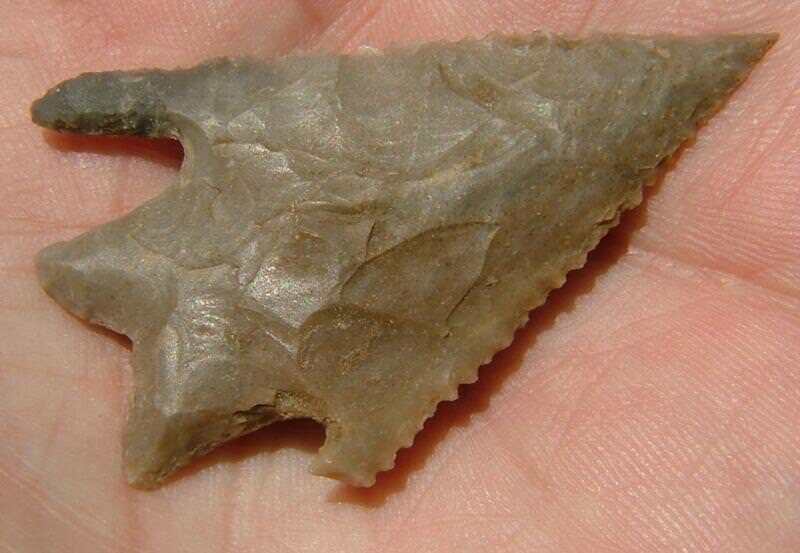 ^^^examples these stone atlatl dart points of Texas chert, were made by AmerIndians and used between 6,0000 and 1,000 yrs ago to hunt large game, and were found/recovered a mere 47 yrs ago, still as sharp as they were when first made. the famous "Rutz Clovis point" https://i.imgur.com/JPJPLKS.jpg approx. 12 to 13,000 yrs old. Last edited by commanding; 25-04-2018, 05:06 PM. Interesting theories in that article. So this is pretty much along the line of my thinking about why we haven't found previous "modern" civilizations' artifacts. I think that these artifacts would have long ago been pulled back down into the earth's interior by the action of plate tectonics. This doesn't explain why there are no artifacts from previous modern civilizations from recent history, but perhaps recent history (let's say, 2 million years) is not a long enough average period for a civilization to restart after a "reboot". Define how old are we talking about? Pre cambrian.....4,500,000,000 = 4 billion 500 million years is a long time yet there are fossils of jellyfish etc and exposed land from that time. cretaceous 70 million to 135 million yrs ago we find fossils in chalk beds. Even if stone age ppl existed then.....their tools of stone would still be evident. Right? Commanding, you've done some flint knapping I believe, If you were to drop a few arrow heads in your yard then step into a time machine and go one million years into the future and search the area where your house was would you be able to find the arrowheads and anything else related to the time you lived there? This is assuming no one came along in that time span and disturbed the surroundings. I would think the flint arrow heads would survive but all other traces of your life there would have long since rusted, decayed and eroded away. If someone else in the future found the site would they think the place was a stone age campground? What if in Atlantis really existed and truly was a technological marvel. And what if their favorite cultural pastime was placing misleading artifacts in various places to prank the future? 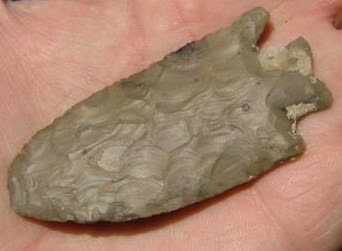 Things like arrowheads. Last edited by RobertKLR; 25-04-2018, 06:45 PM. that is kind of my point. The little chert stone points I have made, will without a doubt last 1,000 times longer than all the buildings I have worked on and drawn plans of in the last 50 years. I know 1 building I worked on in 1965 that is already torn down and gone, and it was brick and concrete joists. How about large terraforming? Panama canal for example? Or signs of medical procedures on fossils? Glass or radio nuclides not naturally occuring isotopes? Or Earth regions like South Africa were changes were minimal? Last edited by picanha; 26-04-2018, 05:32 AM. Problem is not so much traces but interpreting them. No geologist or paleontologist really ever looked for signs of such nature. I had a weird debate with friends (alcohol fuelled of course) once which went like "if Magic was real once but died out after antiquity, would we have any material proof it existed?" If I were inclined to , (I am not) I might take an opposing position as I have seen a lot of wild, crazy proposals in archeology, proposing some really creative theories, and also seen a lot of advances in testing due to new technology in the same field of archeology as to dating /age, as well as use wear on stone tools, DNA testing, sequencing etc that sort of wanders as far as what the technology discovers. a good example is the Kennewick man skeleton, which is too complex to delve into here. Would the Panama canal survive 100 million years or so without any maintenance? Maybe parts of it? I don't know. I was also thinking about plastics (basically substances that were created artificially, rather than concentrating on objects)... not so much after reading the time intervals considered. He took hundreds of photographs, described everything in scientific terms to make it sound really done by scientific methods, used north arrows, scale markers, etc etc. the stuff-shirt professionals would have none of it, but gingerly handled him to keep him from going postal. Professional archeologists are really tied to their beliefs and now they have accepted "pre Clovis" for sure, but pre Clovis who processed iron ore in bedrock kilns? I mean even if they guy was right, it was a hoot watching the attempts to convince those hard headed pros many of whom had advanced degrees and believed everything true came from scientific journals and universities. Any advanced civilization before "us" would have tapped into hydrocarbons as a energy source. There would have been no other way to have the surplus energy to carry out a technologically complex society. Even if they only used this energy as a transitional phase, it still would have been tapped. Only through energy surplus has humans been able to achieve that levels of role speciality required for such civilisation. As result of this thread I was thinking of this: could we have reached an industrial age in the absence of fossil fuels? That is oil but also coal; anything that would be "recorded" by the climate impact. How would we have achieved this industrial age and how would it look like? I see it as emerging via electricity (for electric motors used in manufacturing), next to fast flowing rivers and dams, probably solar (thermal route) and wind playing a roll as well. Once we would discovered radioactivity, we would go full nuclear power. In the absence of the combustion engine for cars, I see human developments being concentrated around big urban centers with a lot of rail, so no extensive exploration of the world (less environmental impact?). Also, we wouldn't have missiles (no man into space or satellites; oh, would all the space junk still be there in 10-100 millions?) and even flight would be limited to light planes/gliders appearing much later by comparison with the real world. Btw. since there shouldn't have been the same resources of hydrocarbons a few hundred million years ago (right? ), probably something along the lines of my speculations would be more plausible for a Silurians civilization. I agree with your last sentence 100%. We using ancient energy stored millions of yrs ago. In the 19th century meaning, it would mean a previous civilization using any kind of fossil energy (coal - oil) for mass manufacturing then atom energy.